Question though for you James: are you a Christian? …. Messianic Gentile? Do you equate christian & MG as the same in how the view scripture? Are you trying to find commonalities between Judaism and Christianity? Judaisms for the most part are rooted scripturally in regards to traditions and these traditions help us see G-ds commandments as related to our current era society…. Like Visiting the sick – Tzedakah & Ma’aser (traditions associated with how one should operationalize these commandments) etc….Teffilah, Tzitzit, Building a Succah, Shabbat, Prayer 3 times a day, Havruta, Grace after Meals, mikvahs, proper burial of deceased, Family purity laws, Kashrut …. For the most part all the traditions have a biblical (Tanach) root in them and Honor G-d.
Christianity has what? Easter (which is?) , Sunday fellowship (which is a gathering of like minds to pray and worship the G-d of Israel and to pray to Jesus or Mary [depending on your branch] and hear the NT taught…. Halloween, Christmas, Valentine’s Day, Pentacost (Which is there version of Shavuot right? Because there word used is identical to it)…. Christian tradition to my knowledge never seen the value in Kashrut (meaning encouraging gradual and slow adherence to it) , they never seen value in family purity, never seen value in G-ds feast, and outside of orthodox and catholic Christianity praying from a siddur is viewed as ” Not being Spirit Led” etc …. The list could be infinite I assume. Can you explain what biblical root Christianity is attached to for there traditions? I don’t know if I can answer all your questions, BG. I identify as a Messianic Gentile based on my theological orientation. You could say I’m a Christian in that I am a disciple of Christ (Messiah) but I don’t hold to many/most/all of the traditions of the Church including their interpretive traditions. That said, and as I’ve written in this blog post, I believe all religious orientations have traditions by which they understand the Bible and how it defines our roles in relation to God. Even Christian and Jewish Biblical scholars admit to a certain amount of ambiguity in understanding the Bible and they don’t always agree with one another as to certain fundamental details (such as the debate between Hurtado and Dunn on whether Yeshua was worshipped as God very early in Christian history or only decades or centuries later). Of course, I cannot discount the good that I’ve seen many Christians in the Church do. I’ve seen many acts of charity and kindness from Christians and people who live their lives conformed to the will of God, even if I don’t agree with them on certain matters of theology and doctrine. I agree that ones specific views or interpretation of Scriptural texts, is largely based one what denominational tradition one comes from that goes for Judaism and Christianity. Reform Judaism and other more secular bents interpret the Torah as well as the rest of Tanakh as a less the divine text, and seek to down play those mitzvot which are archaic and not fitting with modern society (I know I’m broad brushing there). The Church on the other hand with it’s cries against the “traditions of men”, has many traditions of man. Same can be said of the Hebrew Roots folks who are so hyper focused on Torah She’biktav alone and are very anti anything rabbinical. Every sect of faith Jewish or Christian has it’straditions. BG your tone against Christians is very harsh, the Church for all it’s flaws, has done wonderful things in terms of charity and other acts of righteousness. Don’t be so quick to throe the Babbitt with the bath water. Thanks for the comment, Tony. I agree that the various branches and denominations we see in Judaism and Christianity (and probably every other religious expression) seem based on what these groups do and don’t accept as “Biblical” or otherwise authoritative. This was as true of Judaism in the first century as it is today, although it’s my understanding (from Rabbi Carl Kinbar) that in the first century, all of the “Judaisms” agreed on a core set of Torah principles but then differed in many other areas (for instance, the Pharisees believed in the resurrection and the Sadducees did not). It seems we always have to insert our human natures in between us and the Bible. This is why I believe that no religious stream has the corner market on “truth,” since we are always filtering that “truth” with our human needs and desires. Of course! If you’ve ever read a tractate in the Mishnah or Talmud you’ll see that disagreements are the norm and are expected. But they don’t disagree (to my knowledge) on the core issues. Such as G-d is one, we are to worship Him and Him alone and no one else, pay honor to no one else. The disagreements stem from how we should operationalize the commandments to bring honor unto G-d. The traditions in Judaism are a reflection of PROPER interpretation and operationalizing what G-d gave to the Jewish people/Israel. 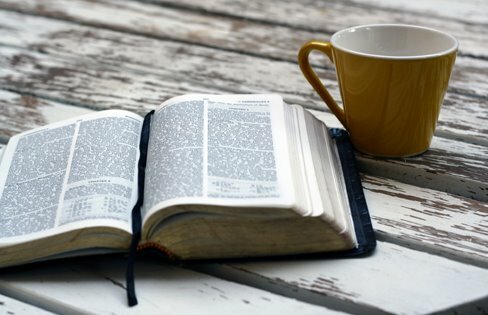 Christianity’s traditions, reflect a POOR interpretation and dis-connect of G-ds word, do you agree or disagree? Who’s discounting them? They have a faith system that encourages such acts of charity and kindness, so its expected they should adhere right? I’ve seen this statement many time on your archive blogs. Is this some way of “justifying” christians so they don’t get offended with you? Hashem is everywhere! He can cause christianity and islam to do His will, even Nebuchadnezzar was HaShems servant and did His will (Jeremiah 27) so whether there “for G-d” or not, is moot in G-ds divine plan because all can be worked for good unto HaShem, but as Jeremiah 16 explains those nations (who’ve gone generation after generation dogmatically practicing something foreign to the Tanach will see there error and come to the true faith [Judaism] which will point them toward HaShem leading to Teshuvah. Again with the charity and acts of righteousness “justifications”, no one is denouncing or discounting them. Islam does great things of charity too tony, why not give them kudos? Or Buddhist? Judaism has been doing it longer then any of them…. What’s the point, in those statements? You appear defensive over the statements I made, am I wrong? What I’m saying is Judaism traditions are a reflection of proper interpretation of the Tanach. Christianity’s traditions are a reflection of poor interpretations of the Tanach. Would you agree or disagree Tony? And please cite what “appeared” “harsh” when I was discussing christianity? I agree that Christianity is guilty of (in my opinion) misinterpreting the scriptural text to bias its meaning in favor of Gentile Christianity and against (to varying degrees) the centrality of national Israel and the Jewish people in God’s redemptive plan for the world. That said, I don’t literally believe every single midrash that was ever written. 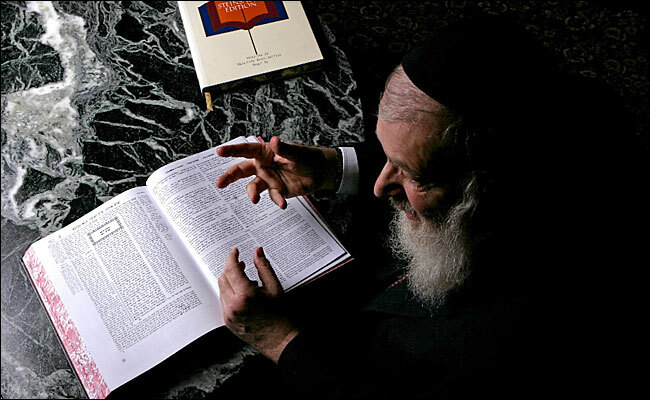 In fact, I wrote a five-part series, starting Here in part one investigating the Chabad’s view on midrash. Also, I don’t necessarily agree with the Talmudic sages “retrofitting” the partriarch such that Abraham separated meat and dairy dishes when he served his three visitors by the oaks of Mamre (see Genesis 18:8). Of course, the Church also retrofits its theology and doctrine onto the text as we see in the Christianization of Acts 15 for example. Don’t get me wrong, I think there’s a tremendous amount we can learn about Yeshua-faith from studying midrash as illustrated in my book review of Roy Blizzard’s work Mishnah and the Words of Jesus. That’s why I study as a Messianic Gentile and not in a traditional Christian manner. I just don’t think that literally every single tradition or interpretation ever produced by all Rabbinic sages over the long centuries always produces the one and only way to interpret the Bible. I think we’re all human and project our requirements onto the Bible. When Yeshua came to us the first time, one of the things he did was to interpret Torah from the authority of Heaven. I believe he will do so again upon his return. No, I make such statements because I believe they are true. I’ve seen living examples of Christians “doing Torah,” the “weightier matters of the Law,” they just don’t call it that. I believe that when Messiah comes, many from “the Church” will learn the authoritative interpretation and meaning of scripture about the Messiah, national Israel, and the Jewish people, and we Gentiles will come alongside of them under King Messiah. We all make some sort of mistake about what the Bible says. At a human level, our various denominations and branches are both a result of our human faults and the drive to draw closer to God through His Word. At some point, we will be offered the opportunity to repent when our mistakes are pointed out to us (or before by the prompting of the Holy Spirit) and to turn to the true meaning of God’s will for our lives. As far as Islam goes, I don’t know since my perspective primarily takes in Judaism and Christianity as religious forms. Still, as it is written, “every knee shall bow” (Isaiah 45:23, Romans 14:11, Philippians 2:10) so who is to say that even some Muslims and even many from other religions as well as atheists will repent and turn to God? There will be a judging for those who don’t. I mentioned nothing about midrash, thanks for explaining your POV. Men’s decisions on what people are to do to carry out Torah have been added onto, and changed, and amplified generation after generation from the days of Moshe, and none of them are guaranteed to be exactly correct, accurate and right. When the customs and traditions of the Jews, always in flux from generation to generation, were oral, and not written as semi-divinely inspired opinions, there was little difficulty. No one was claiming to be right, or if they were, they were obviously wrong. Once, however, anything was written down as authoritative, and even in defiance of the written Torah, we began to have the Rabbi’s ideas presented as commandments of G-d, for G-d supposedly gave the Rabbi’s authority to over-ride Torah. Unfortunately, I don’t believe that…it’s not written in Torah. In fact, the opposite is so. The written Torah, a thorough study of customs and traditions, and a skeptical reading of what the Rabbi’s think, under the guidance of the Ruach haKodesh have to be enough…for me, at least. Like James, I was not brought up to any religion, and have a lot less tradition to discard to attempt performing the mitzvoth, and as a Gentile, I am not required to carry the entire obligation of Torah because G-d did not make me one of the Chosen People, nor has He told me to convert…yet. That does not make me a Christian…particularly since I follow none of their traditions, but I am viewed as such…as if there can only be Rabbinical Jews who are correct in all they do and say. To be a good Jew is to supposedly follow the Rabbi’s directives even when they are in direct contradiction with what is written in Torah. To be a Christian at all one must believe in a trinity of gods, and I don’t. I also don’t attend church, nor follow their holy days, and I doubt a good deal of what they do and believe because it is so confused with pagan rites and men’s traditions that finding the Mashiach in their gatherings is hard. But it is not impossible for Gentiles, even Christian Gentiles, to walk in many weird ways and still be devoted to YHVH through His representative Yeshua, just as it is not impossible for Jews to follow the Rabbinical directives and reasoning and traditions, and still be devoted to YHVH. We, Christians, Gentiles, and Jews are men, and we are getting some of it wrong simply because we are men, and not able to understand all that YHVH really wants. And in the end, it is only by His mercy that we learn, and grow, and get better at pleasing Him, and it is only by faith that any of us are acceptable to G-d. I think you are missing Catholicism in your discussion, they are very proud of their traditions, and adhere to it as authoritative. The difference with Protestant Christianity is that despite the various denominations, tradition is not shunned, instead they simply believe tradition to not be authoritative. So you have people observing the the grey areas of the bible in their own comfortable interpretation. Whether right or wrong. In “Hebrew Roots” groups, there is a mix, just like in “Messianic Judaism”. I didn’t include Catholicism because I’ve never been involved with the Catholic church and don’t have first hand experience with their traditions. My point is that I believe all religious streams use, to one degree or another, traditions by which they interpret the Bible. No one is immune.